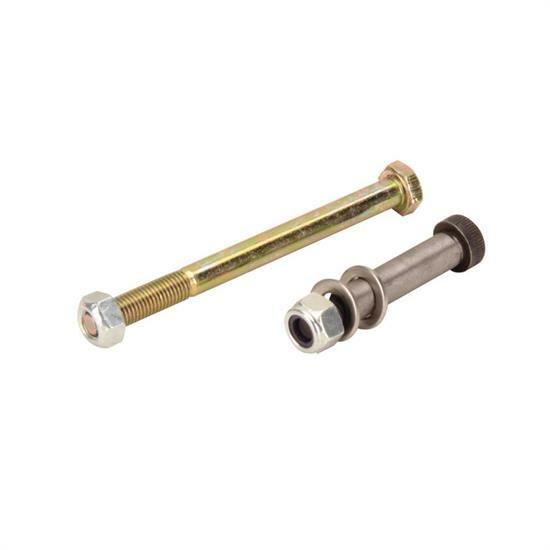 New from Henchcraft® Chassis, these brake pedal bolt kits include all hardware to outfit your pedal: Master cylinder push rod bolt and shoulder pivot bolt, both with washers and locking nuts. Pat talks about some of our Lokar throttle cable and pedal setups. Tim talks about why using a new pedal assembly may be better for your project than the original pedal assembly. Tim demonstrates the brake assembly with a Wide 5 drum brake and Speedway's new self-energizing backing plate. Tim explains the process of adjusting Buick Finned Drums to fit Speedway's self-energizing backing plate assembly. Street Rod Tech Kevin W. talks about the first steps in his plans of a disc brake upgrade on his 1954 Chevy Bel Air, upgrading the pedal to an under-dash setup and adding a booster.